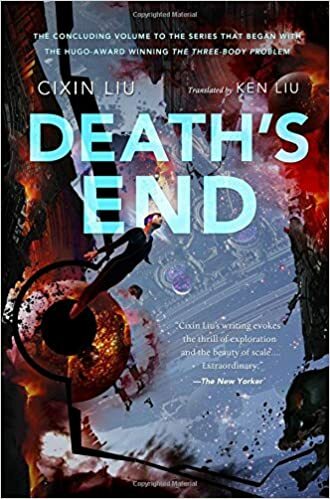 Cixin Liu’s last book in the Three Body Problem trilogy, Death’s End, is a break in format from the last two books in the series. It starts before the first book and ends millions (or possibly billions) of years afterwards following the life of Cheng Xin, a aerospace engineer who ends up making some of the most important decisions for humanity. Where the last two books are rather focused in scope this book has the feel of Isaac Asimov, or Arthur C. Clarke, and inspects human societies evolution, as well as, questions the fundamental structure of the universe. The book naturally follows the Dark Forest hypothesis to its dark but logical conclusion: as intelligent beings spread throughout space and came in contact with eachother, large intergalactic wars started taking place. In these wars the god-like aliens wielded the laws of the universe against eachother, changing universal constants and fundamentals of the galaxy, to the point where the universe itself was at risk of dying. The Darwinian need for purpetual survival of your kind leads, inveitably to death no matter the mess you make trying to avoid it.